As you already know by now (or not if you’ve been living under a rock!) iOS 8 is the successor to iOS 7 and will be released this fall and according Apple it will be the biggest release ever for both developers and users. Developers are having deeper access to the tools with over 4000 APIs and great cross app compatibility. New Message App -Users can add voice in message and quick reply. Design Changes – Interaction with user is easier and convenient. Smartest keyboard yet (third party keyboard apps are on there way) – Auto suggestion for sentence completion following contextually approach. Improved Family sharing – Family sharing is up to six people. New iCloud Drive Feature – Any kind of file can be shared, stored through new iCloud Drive. Health monitor and fitness report – Heart rate monitor, activity tracker, and other health and fitness apps can share information to each other. iPad, iPhone, and MAC connectivity – More interaction connectivity with multiple apple device. Enhanced Spotlight – Suggestions of app, contact, Wikipedia content, places nearby, trending news, and more by spotlight. 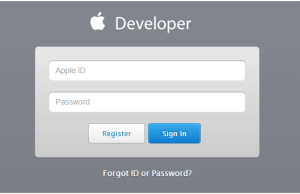 Step 2: Sign into iOSDev Center using your Apple ID. Step 3: Register your iOS device, you can obtain your UDID in itunes once you connect it to your computer. 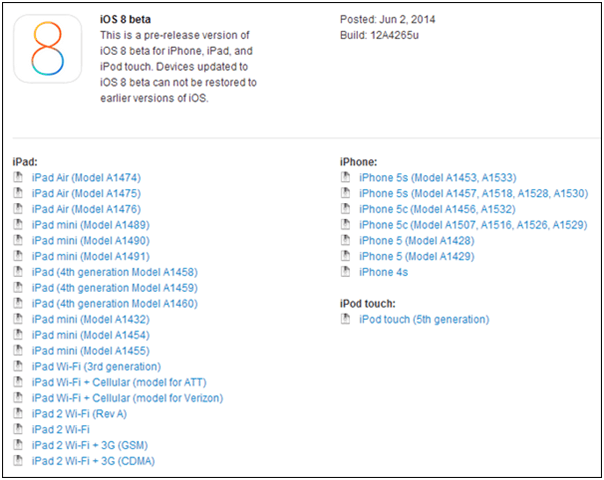 Step 4: Select the ‘iOS 8 beta’ section in the developer portal and download the required ‘iOS 8 beta’ firmware on the device. Step 5: Extraction to get .IPSW format. Extract the downloaded .ZIP file to get .IPSW files. Step 6: Connect device to Mac or PC After having the IPSW file, launch iTunes (make sure you are on the latest version) and connect the iOS device to a Mac or PC. By holding Alt key (MAC), or Shift Key (Windows PC), and clicking on the Restore iPhone… button, iTunes will allow to select the .IPSW file extracted in the previous steps. After that select the .IPSW file. 3.8 Step 8: Successful installation iTunes will install iOS 8 on the device within a few minutes. 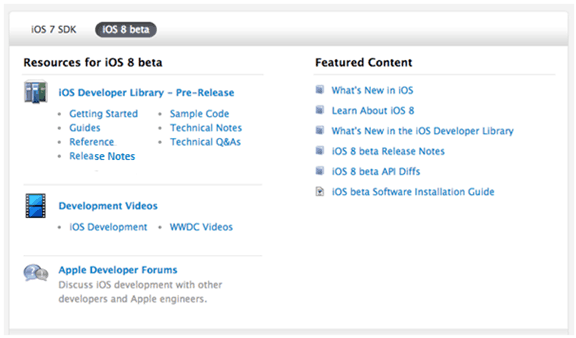 Once done, the latest iOS 8 beta logo will be shown. Follow this link if you are not a registered developer. It is obvious that the iOS 8 would be the world’s most downloaded OS as the options are mesmerizing and user would find the easy to access. So what do you think? Download iOS 8 now or wait for a more stable release? I'm a Bachelor of computer applications and all round tech guy. In my spare time I enjoy singing, cooking and reading.